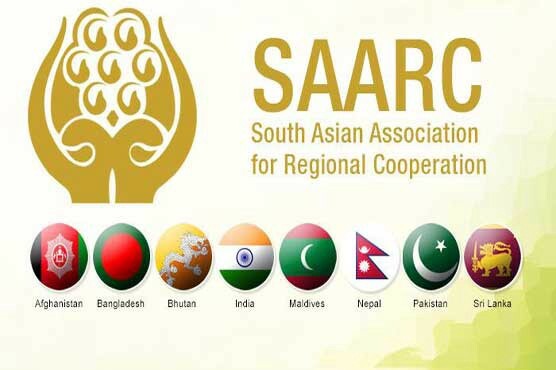 After few weeks 20th meeting of South Asian Cooperation Organization SAARC is going to be held at Sri Lanka as per schedule. 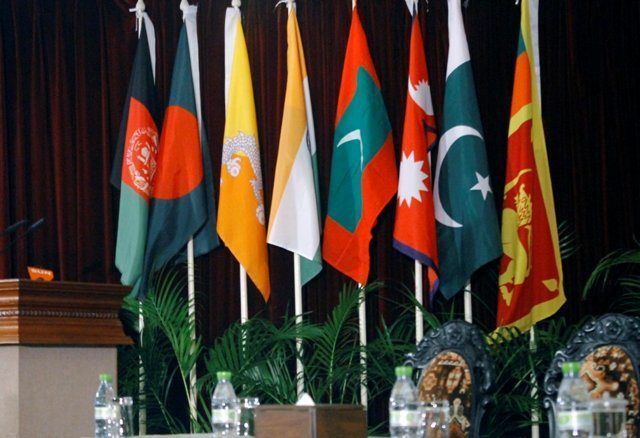 In 2016, the SAARC meeting was to be held at Islamabad, however, India boycotted it and Bangladesh also supported India by boycotting the same. 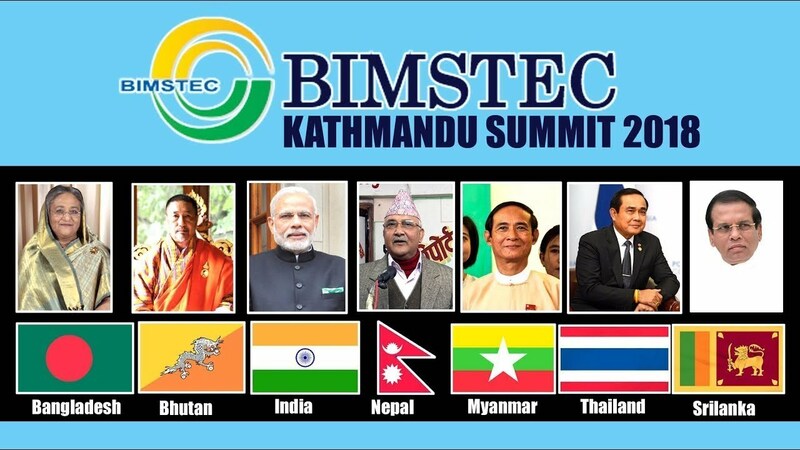 It was not possible for Nepal, Bhutan and Maldives to participate in this meeting, especially after Indian threatening attitude and statements. Afghanistan is already in the clutches of India. After the boycott by India followed by the Bangladesh and Afghanistan and the excuse from Maldives, Bhutan, and Nepal, cancellation of SAARC meeting by Sri Lanka and Pakistan was inevitable. India boycotted SAARC meeting under the excuse of stage Uri attack for which India had failed to prove her allegations over Pakistan. In order to support her allegations against Pakistan, India fabricated the story of surgical strikes at five different areas of Azad Kashmir. Although, liberal anchors and intellectuals supported Indian claims but the questions raised by the Indian media, evidence demanded by the Indian Opposition, the analysis of the retired Indian Generals that Indian army does not have the capability for surgical strikes in the dark of night, negated the Indian claims. Moreover, the visit arranged by the ISPR for the representatives of International media to visit those areas where according to Indians, surgical strikes were done, negated Indian propaganda. After the failed drama of surgical strikes, it is evident that India herself staged the Uri attack. Afterward, when the situation improved, Pakistan started the diplomatic efforts that 2018 SAARC meeting should be held in Pakistan in spite of Sri Lanka, in this regard all the member countries of SAARC were contacted so that they may influence Indians to visit Pakistan. Sri Lanka had no objection, according to International media reports Nepal and Bhutan were also in favor of Pakistan. The goal was to diffuse the tension between two nuclear states, but India ruled by Extremist Hindu Party BJP who came into power through the votes of Extremist Hindus due to their enmity against Pakistan and capture of Indian Held Kashmir (IHK); the political future of Hindu Extremist Party depends upon the hateful decisions against Pakistan in order to save her face in the Extremist Hindus. On the other hand, continuing the capture of IHK has become a great problem for Hindu India and the Hindu army. The increasing torture of Hindu Extremist Army over the peaceful freedom movement of Kashmiris is being considered as the anger and violence of the Indian army which is not baseless. In the meanwhile, all of a sudden on 08 September 2018, P.K. 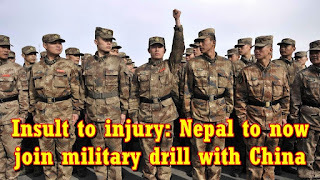 Sharma Prime Minister of Nepal suddenly order his army not to participate in the war games that were to be held over the border with the Indian army. This order was issued before the departure of the Nepalese troops while they had been ready to leave for Puna and Nepal has also informed India in this regard. 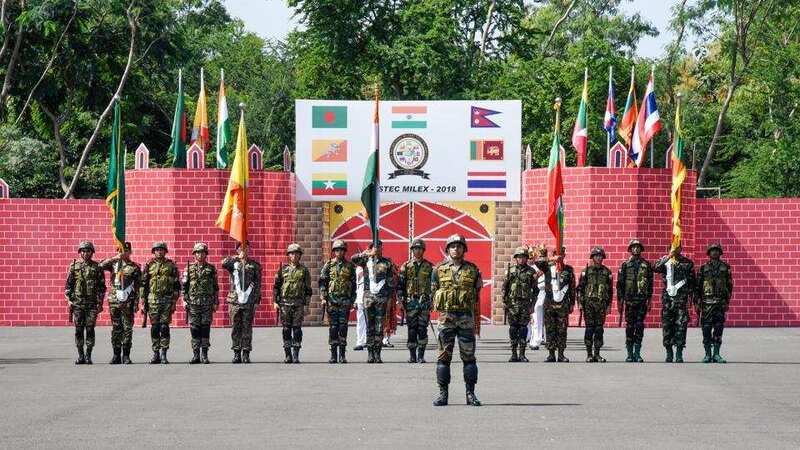 Indian has attempted to revive the dead horse of Bay of Bengal Initiative for Multi-Sectoral Technical and Economic Cooperation (BIMSTEC) that was established in 1997 and now the first joint military exercise was to be held. 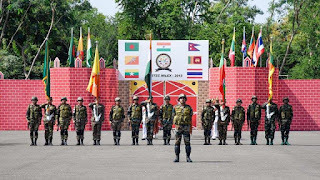 These war games were decided by Narendra Modi after discussions with the heads of member countries in Juen 2018. 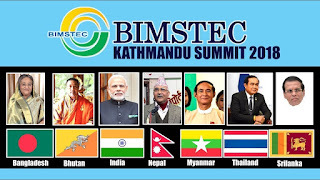 The painful aspect of Indian Hindu extremism and imperialism, that Nepal is the second Hindu state of the region that is always afraid of Indian imperialist designs. 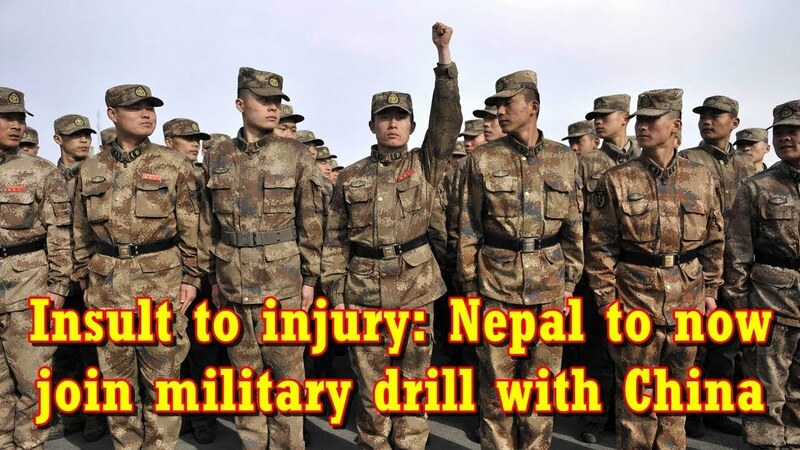 The decision of Nepal to stay away from the military exercise created worst pressure for Modi govt. In the meanwhile, the announcement of Indian Foreign Minister to hold the meeting with his Pakistani counterpart on the meeting of General Assembly of UNO and on the second day declining to meet Pakistani Foreign Minister under the traditional lame excuses has further secluded India. Under these fabricated allegations, India wanted to make a deal so that Pakistan does not raise the torture, killings, and atrocities of extremist Hindu army in the IHK, which is not possible to ignore due to the situation in IHK for the newly elected govt. of Pakistan. It is also impossible for Modi establishment as well to leave anti-Pakistan stance right before the elections and come to the negotiations giving a friendly gesture. As long as the SAARC meeting is concerned, it seems that it will not be held as well neither in Pakistan nor in Sri Lanka. In such situation being faced by Modi on internal as well as external fronts, it is the need of the hour to stay vigilant to Hindu India, as Indian secret agencies may revolt to a big terrorist attack within India or attack / unprovoked shelling over LoC (Line of Control) resulting in the civil casualties of Kashmiris of Azad Kashmir.